One of my favourite things about growing up and having my child grow up in Toronto is the automatic exposure to a variety of different cultures different than our own...so when we were asked if we would like to review songs from Brazil and Portugal from The Secret Mountain we jumped at the chance. 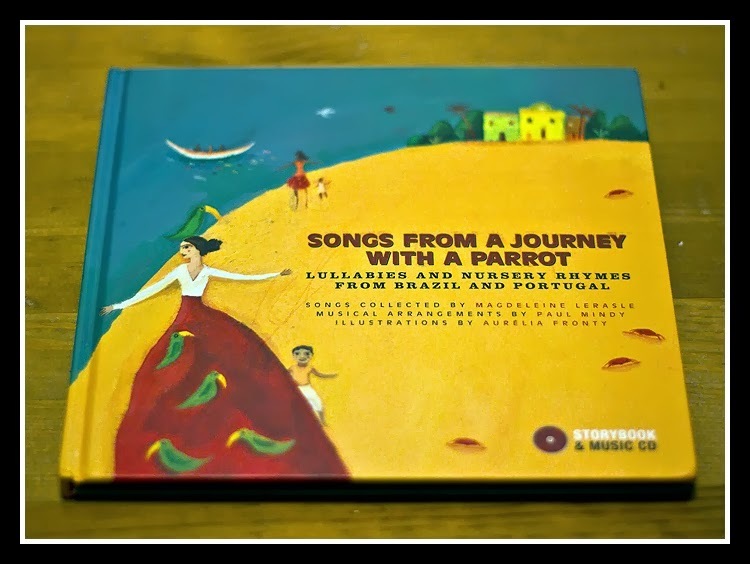 Songs from a Journey with a Parrot is a collection of lullabies and nursery rhymes from Brazil and Portugal that invites children on an authentic musical journey exploring the strong cultural ties that bind the two countries. 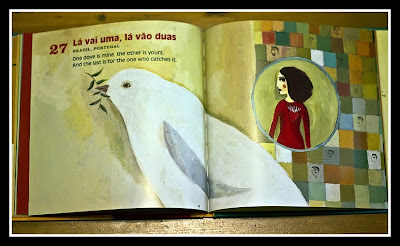 The book has beautiful illustrations - my daughter likes looking through it and pointing out birds, babies, and the train. The lyrics of the songs are presented in Portuguese and translated into English, followed by notes on the origin and cultural context of each song at the end of the book. 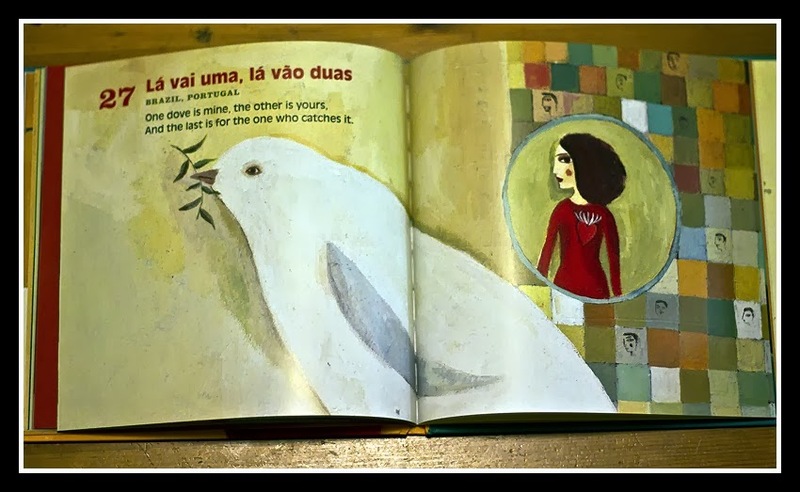 This helps to sing along - and understand the words if you don't know Portuguese! The accompanying CD features thirty traditional songs that blend samba, modinha, fandago and bossa nova, performed by a group of women, men and children. This uplifting, enchanting production, featuring several indigenous acoustic instruments, captures the meeting of rich and diverse styles. The songs are short enough to keep my toddler's attention, although she does prefer the faster-paced ones. Songs from a Journey with a Parrot is a nice change from the nursery rhymes I've been singing to Hannah for 22 months now...and she seems to be thankful for the switch-up too! There are other "Songs from..." compilations from The Secret Mountain we will definitely be checking out. Do you sing/listen to songs of a different language/culture with your child(ren)? Disclosure: We received Songs from a Journey with a Parrot for the purpose of this review. As always, all opinions on this blog are my own.